Here you will find clips from magazines & newspapers where I have had pictures and articles published. 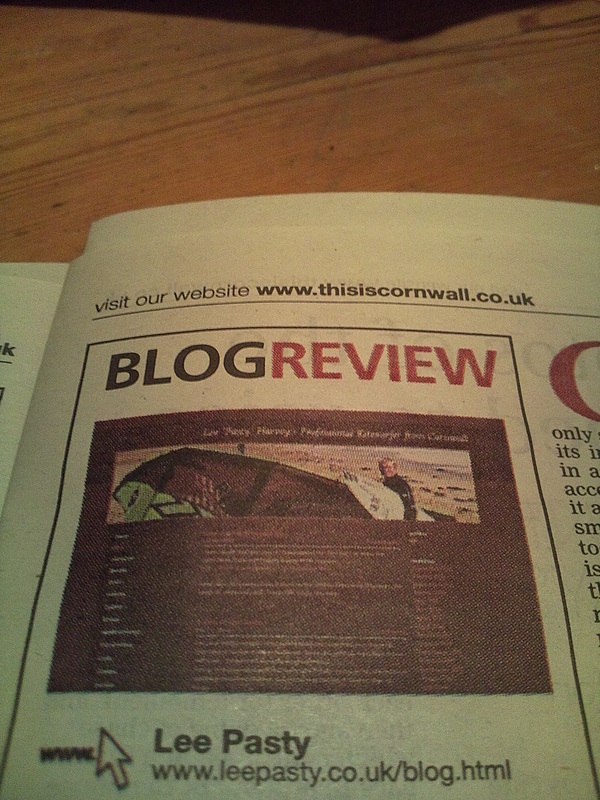 I also regulary feature on websites and in press releases from industry related companys and organisations, of which there are too many to list. 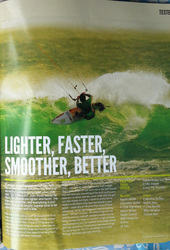 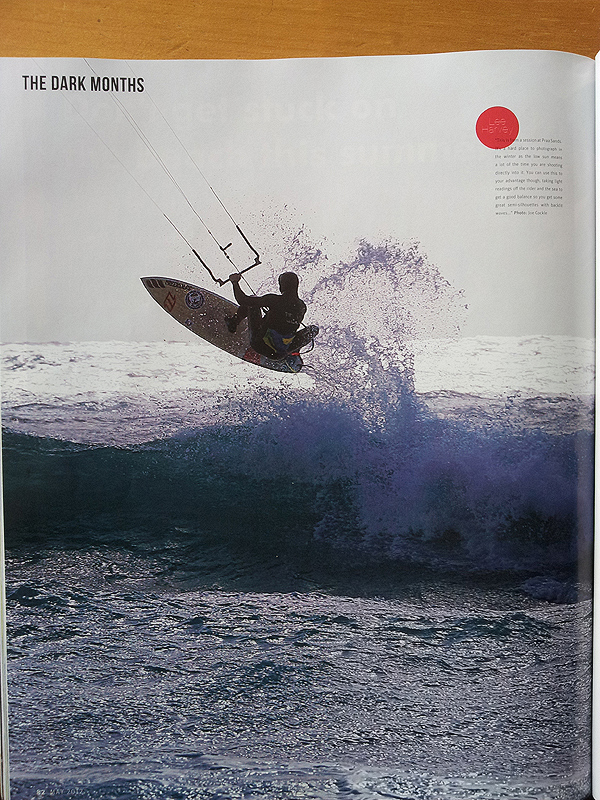 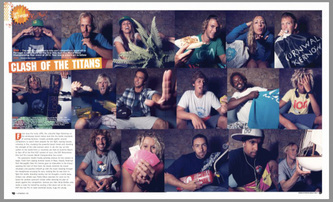 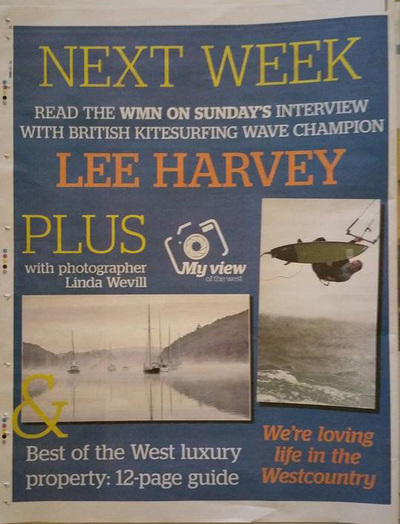 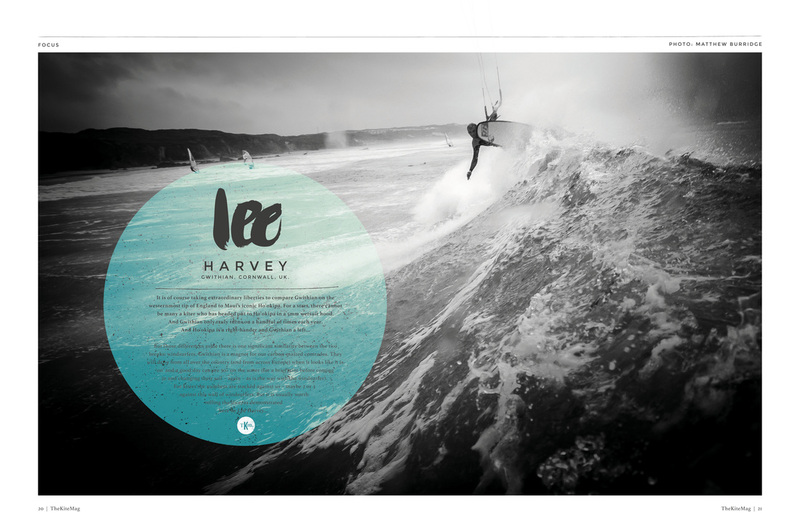 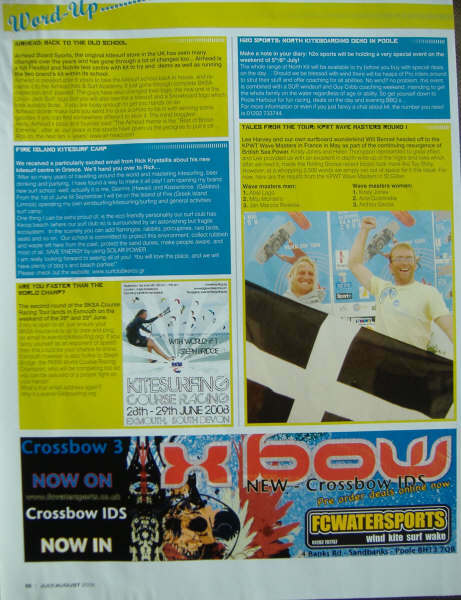 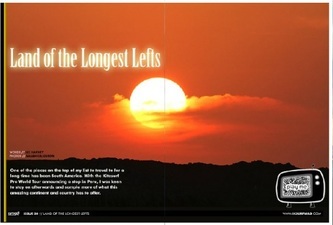 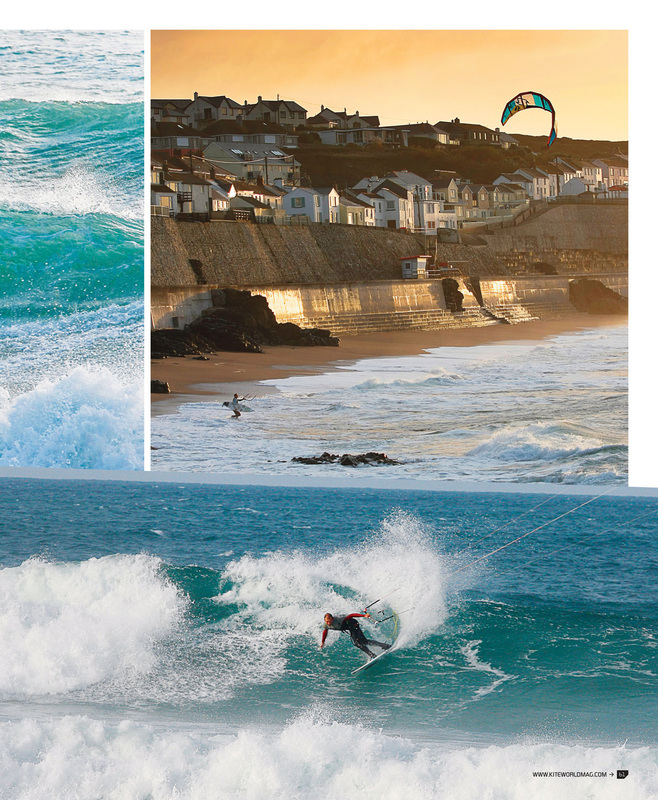 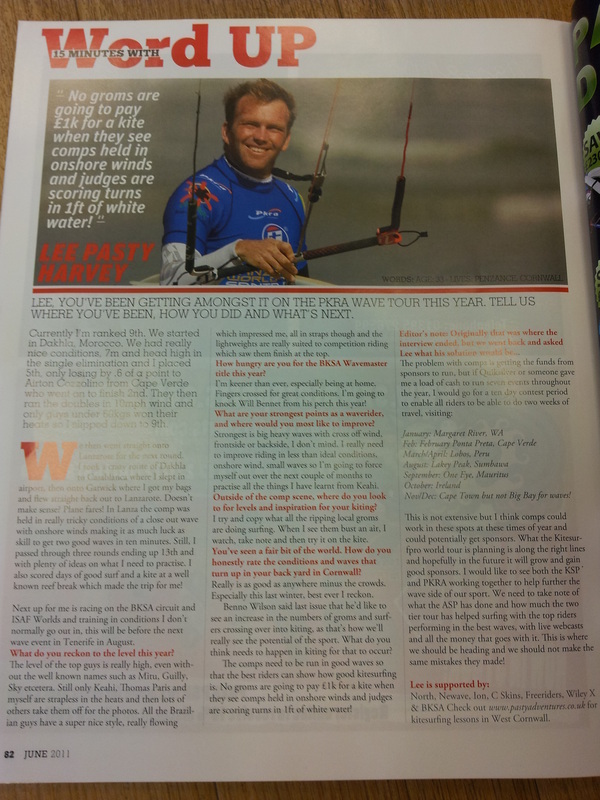 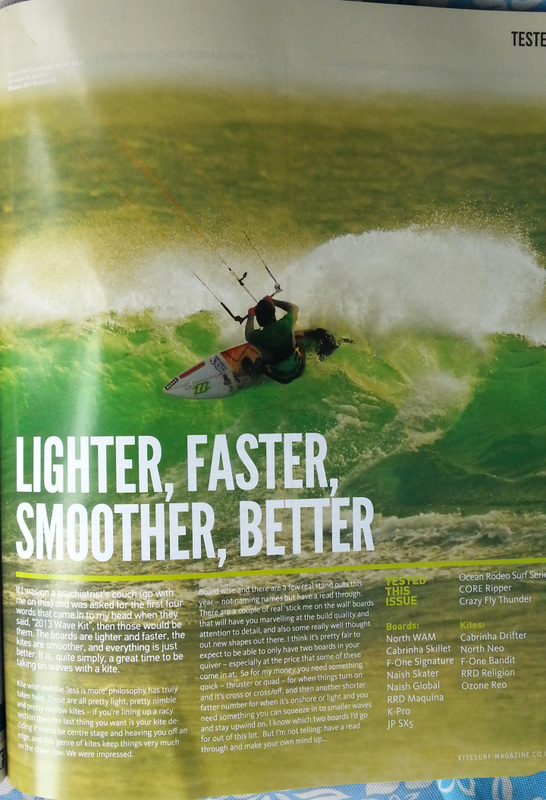 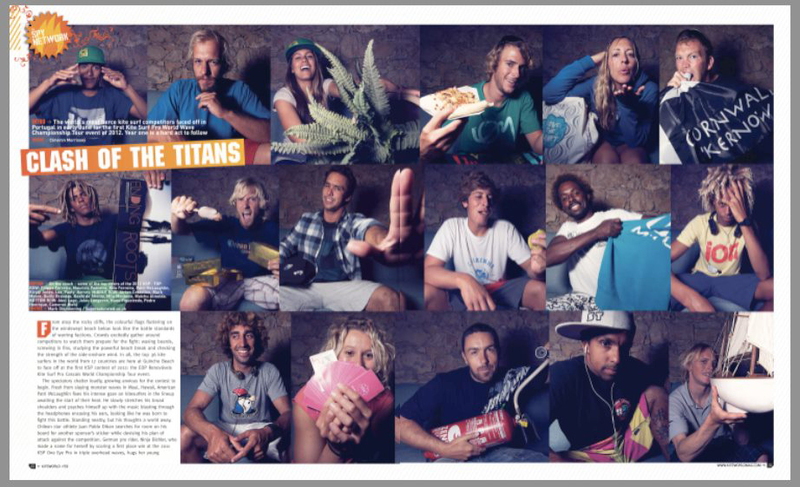 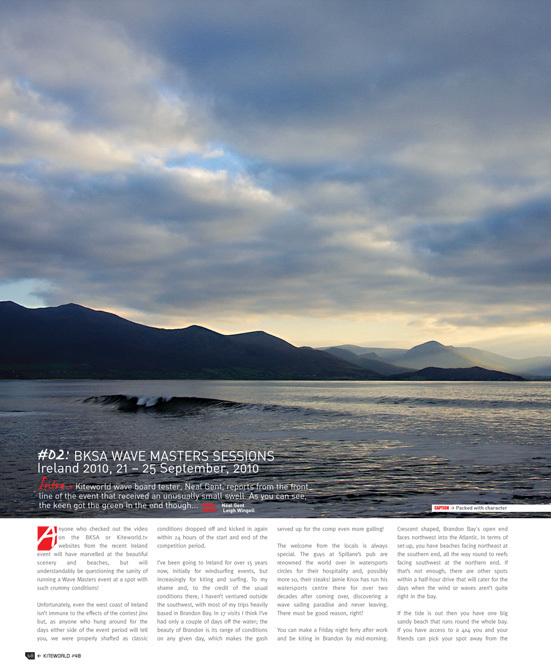 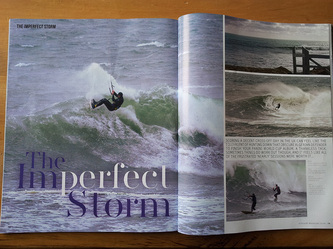 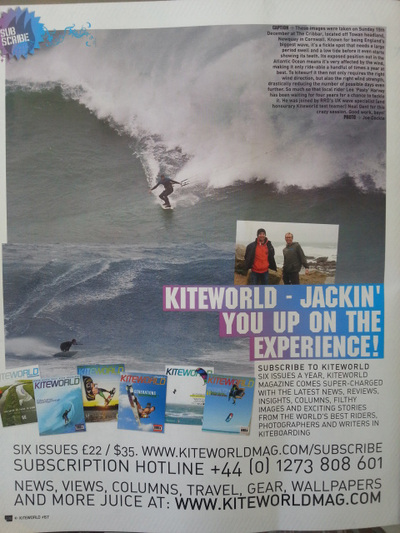 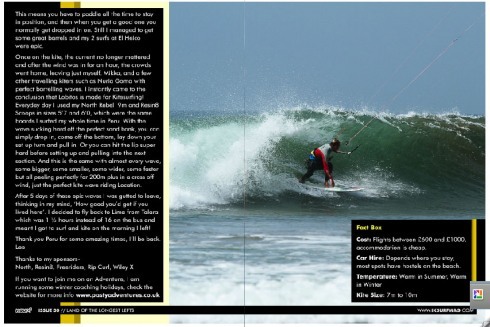 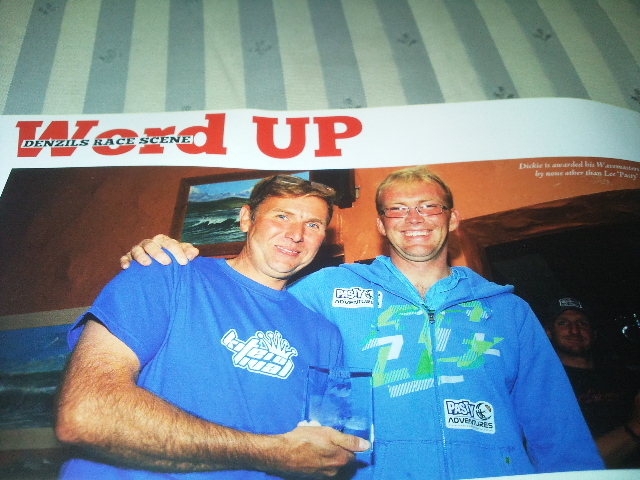 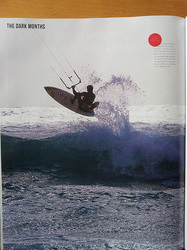 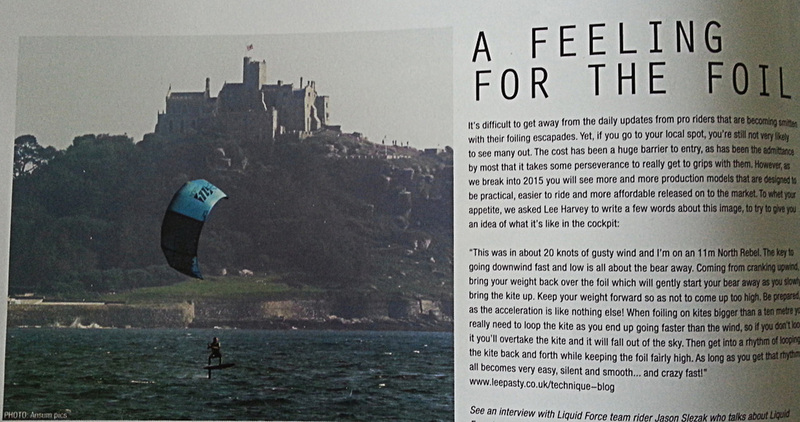 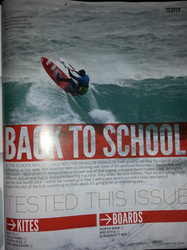 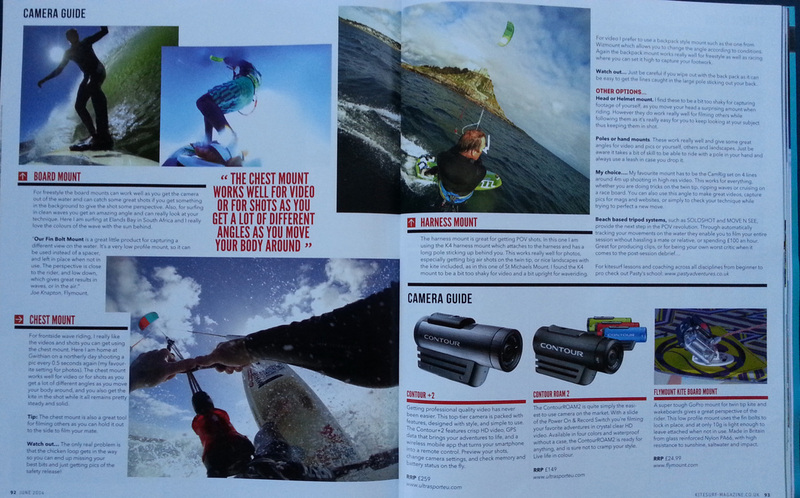 Kiteworld Magazine- The Worlds No.1 Kitesurfing mag. 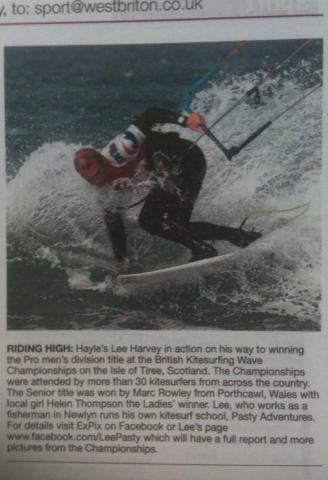 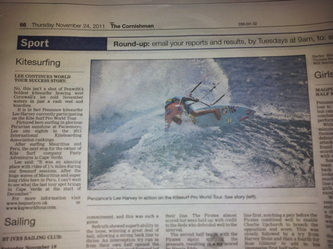 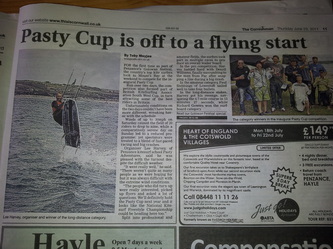 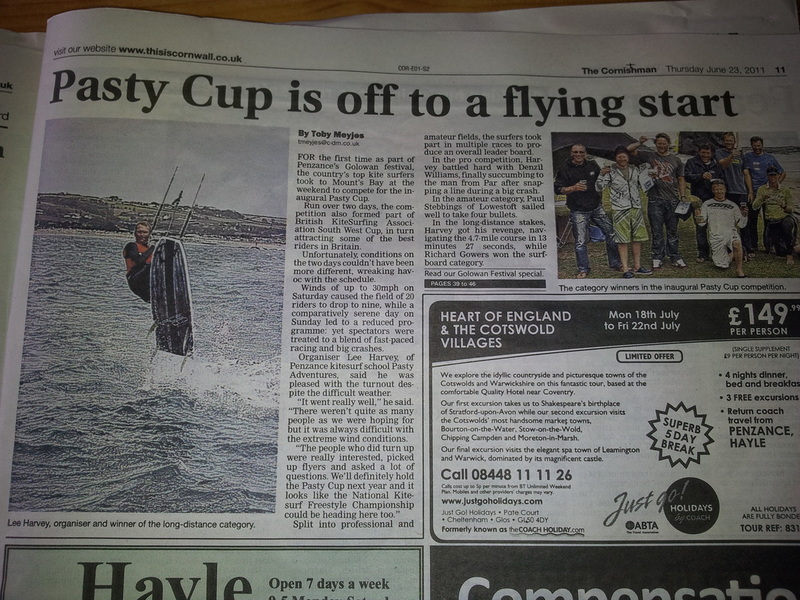 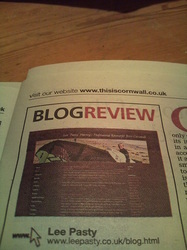 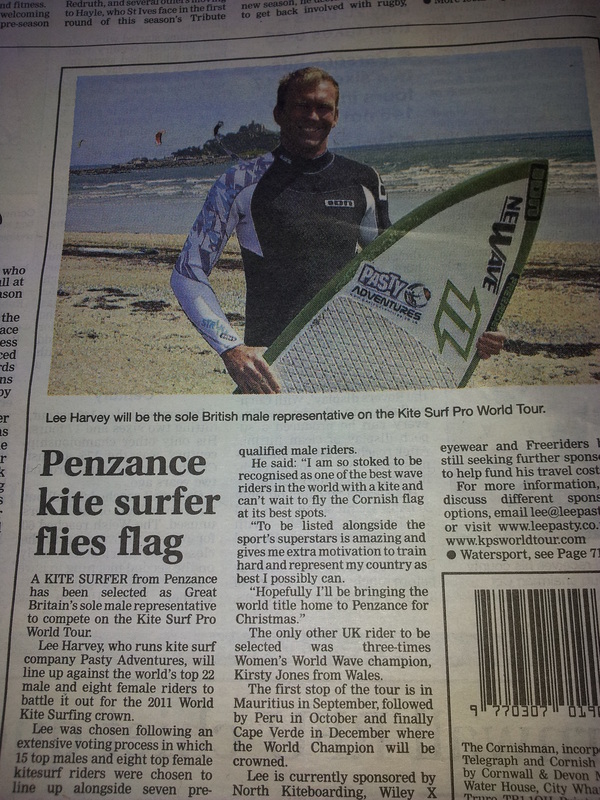 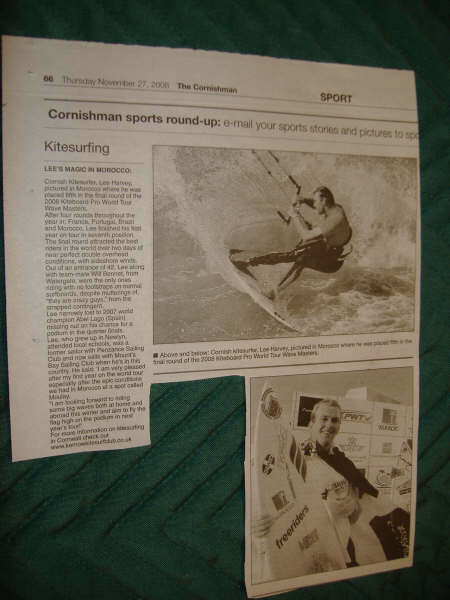 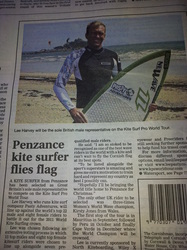 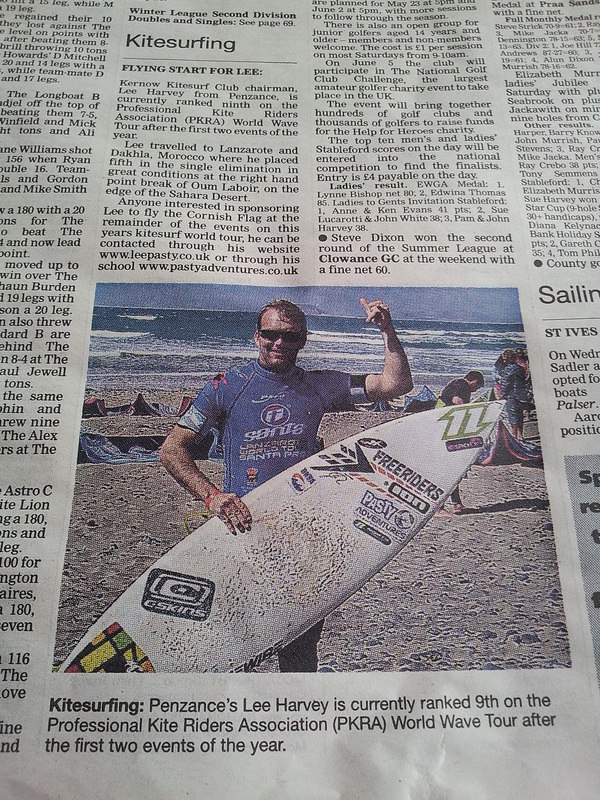 I am featured regulary in several Cornish newspapers where they keep the nation informed of my competition results and exploits. 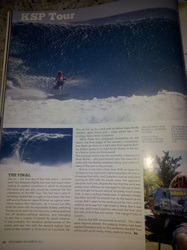 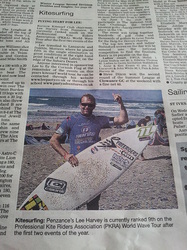 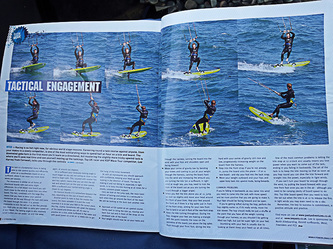 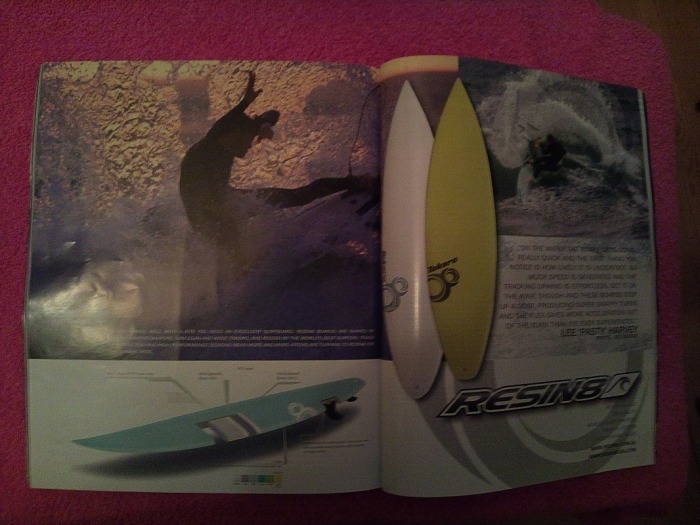 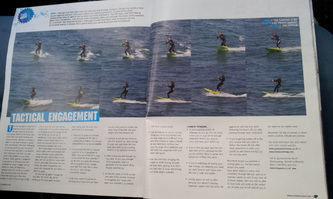 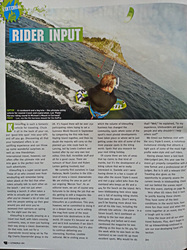 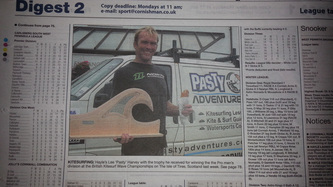 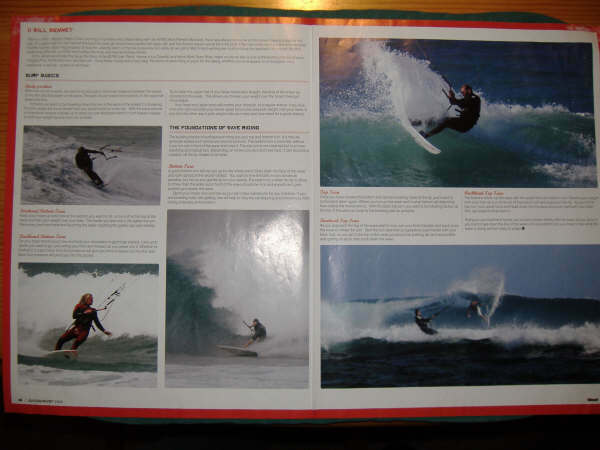 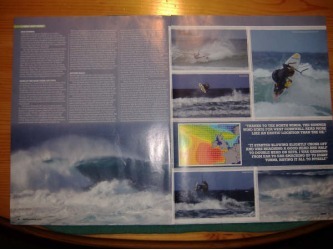 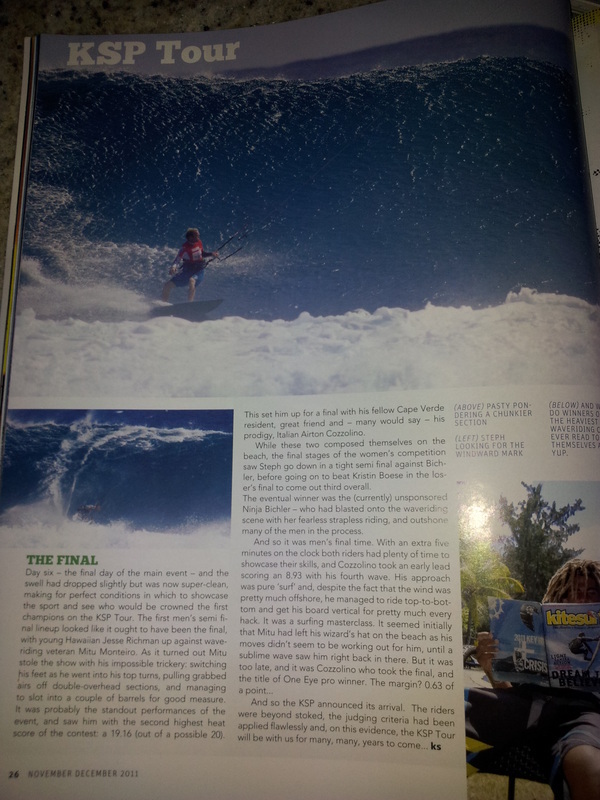 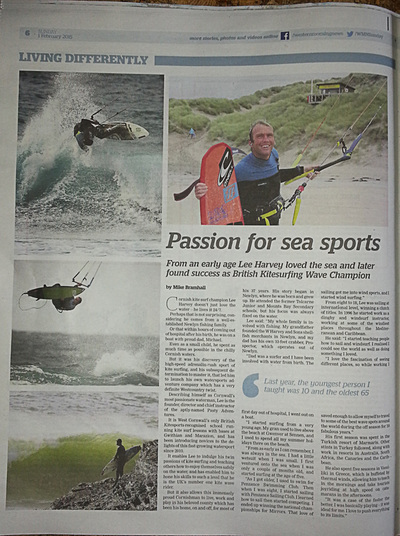 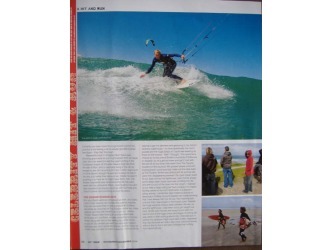 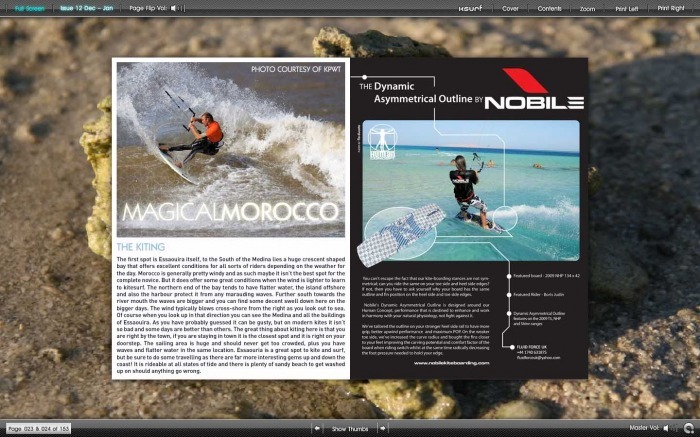 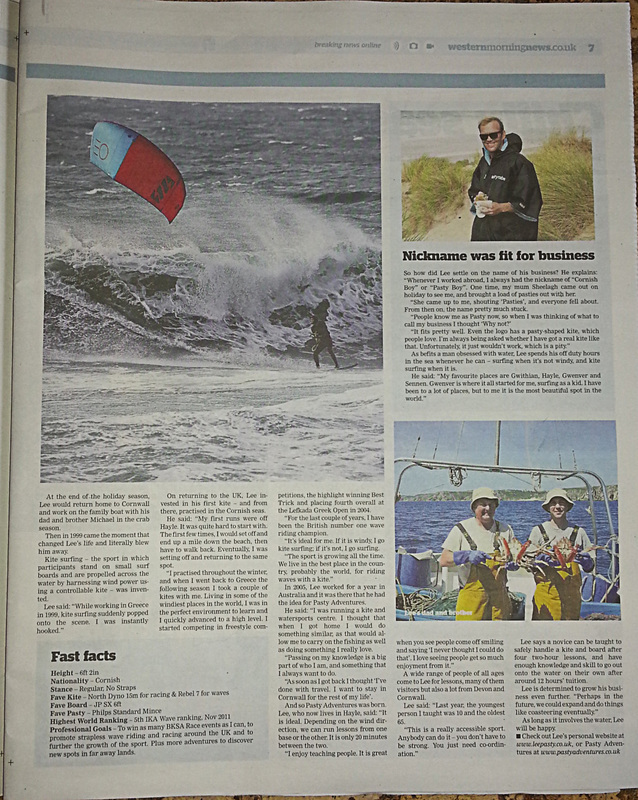 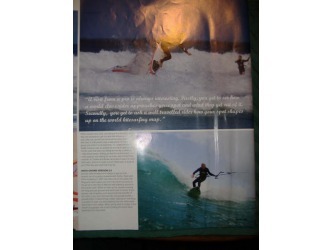 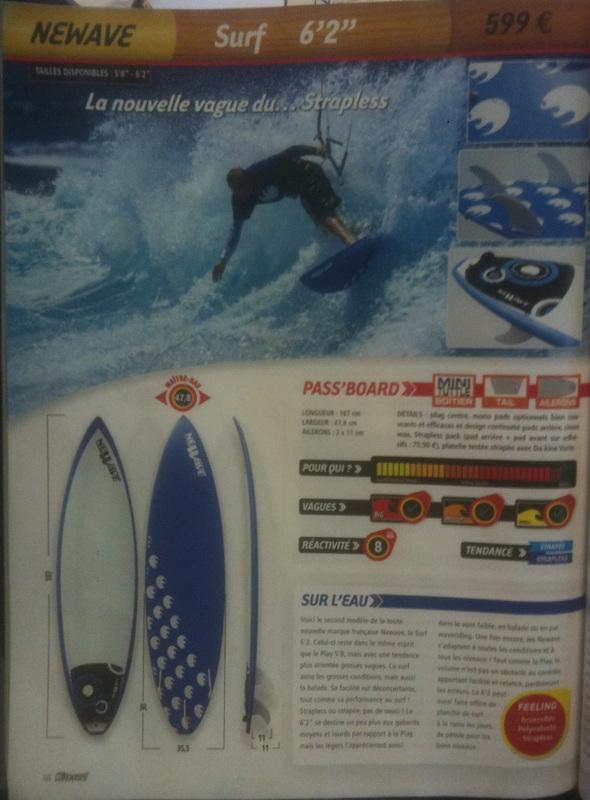 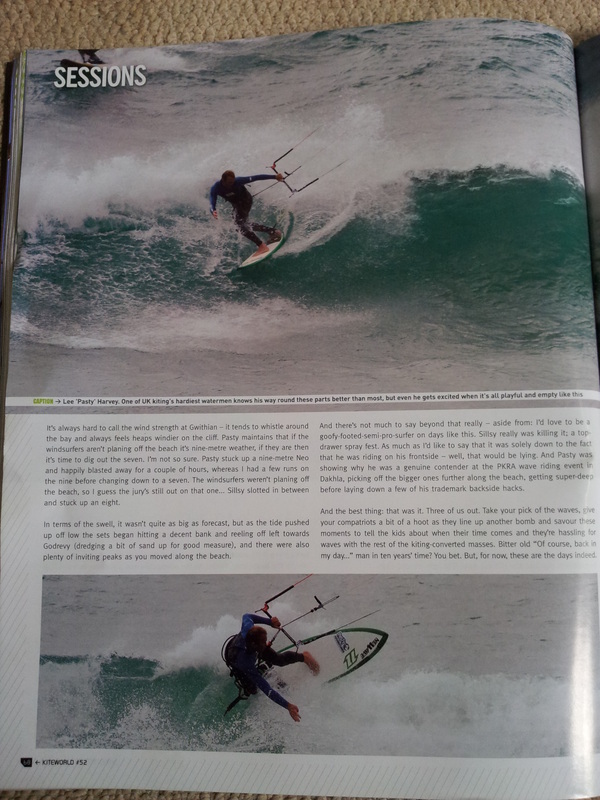 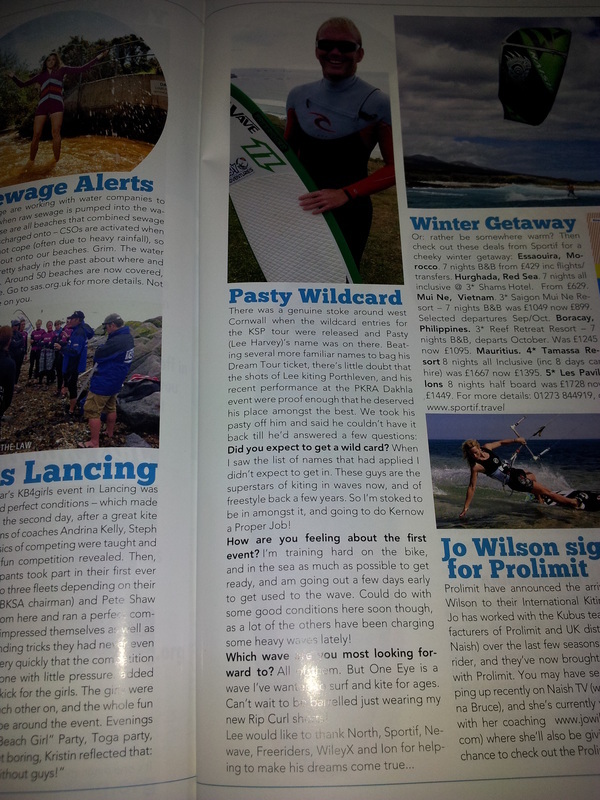 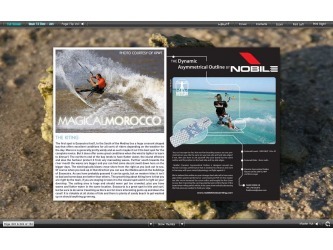 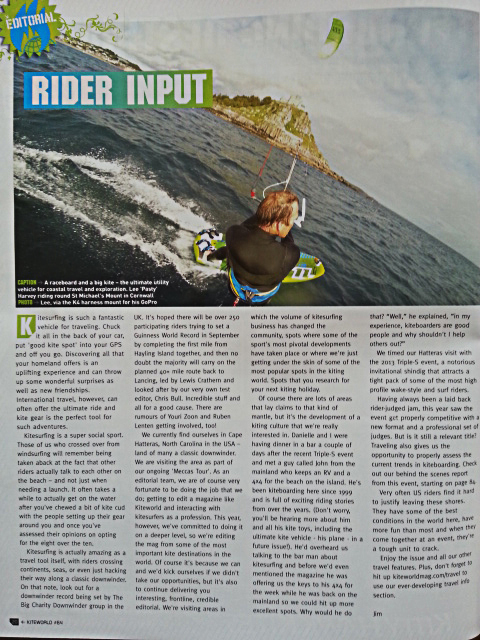 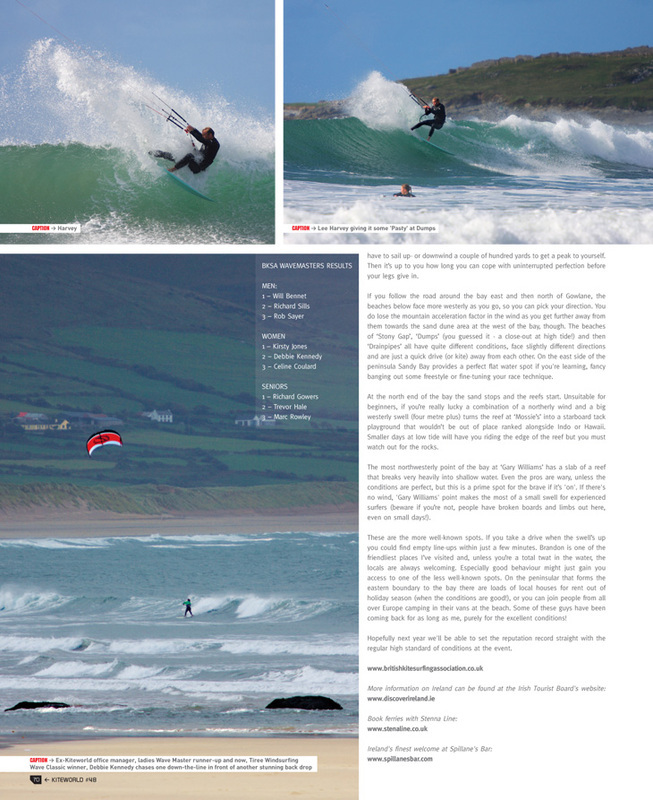 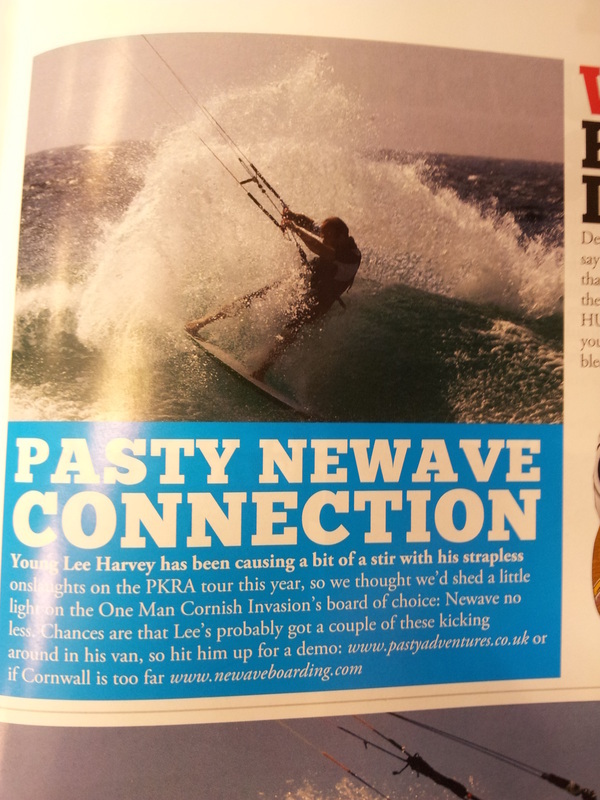 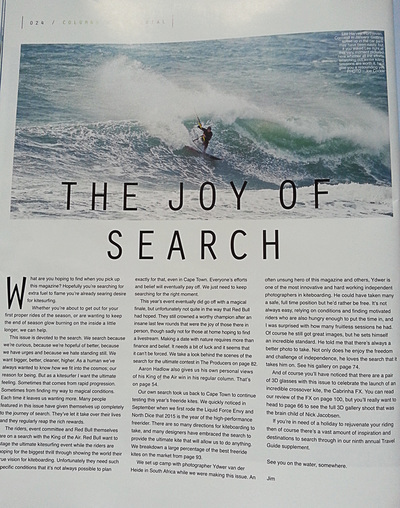 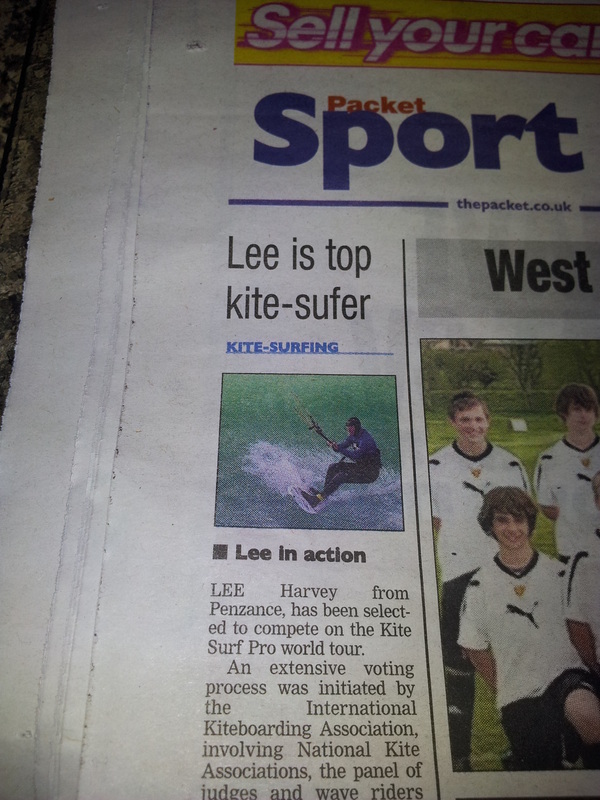 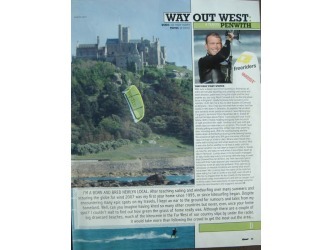 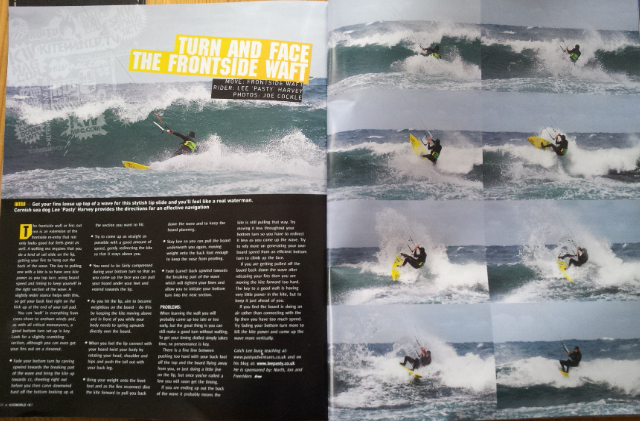 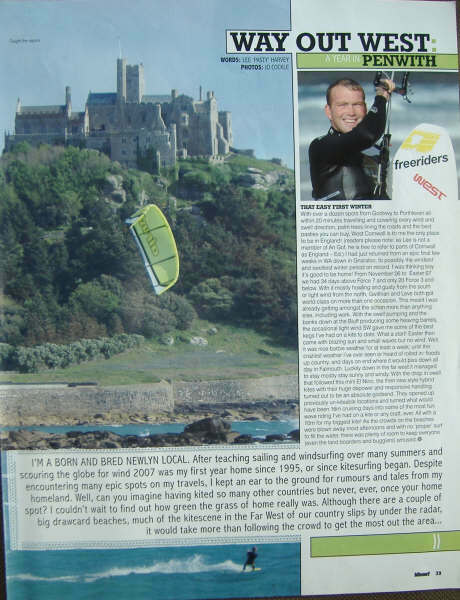 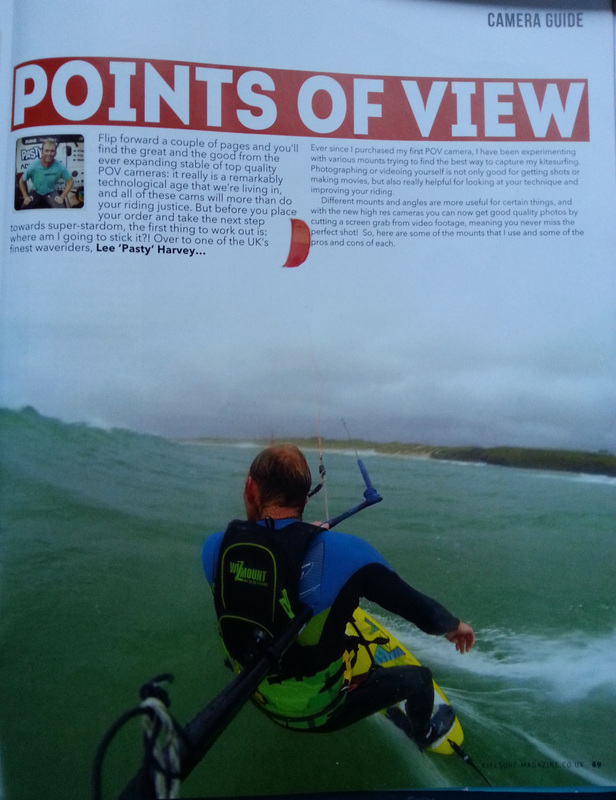 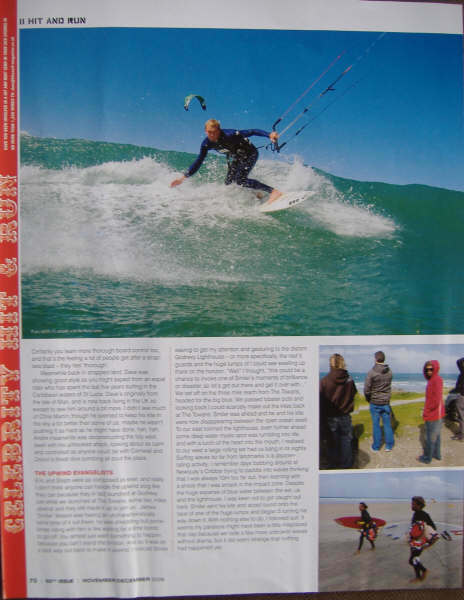 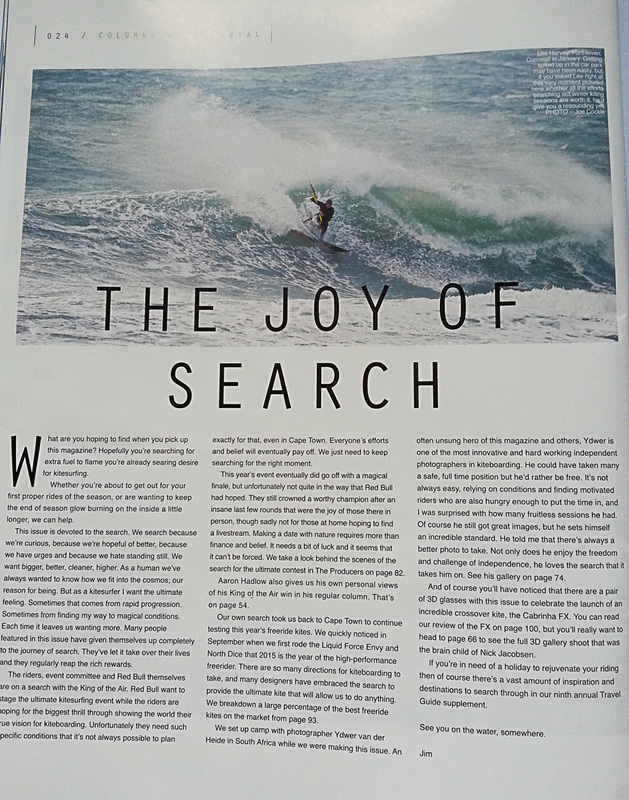 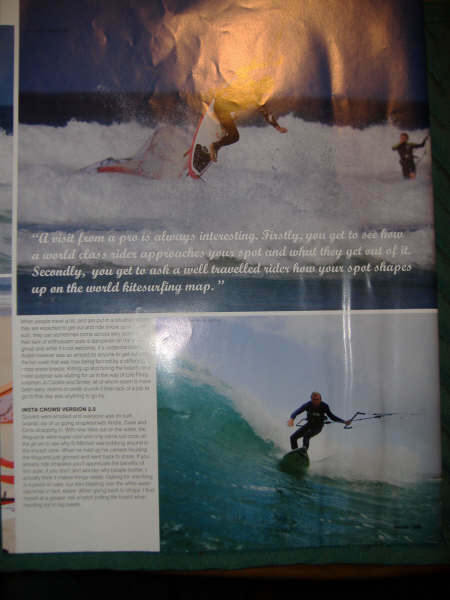 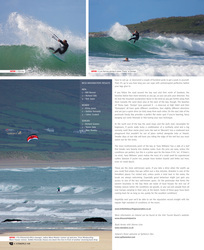 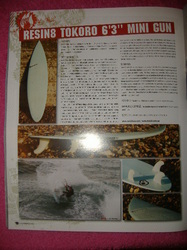 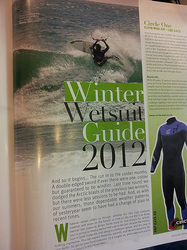 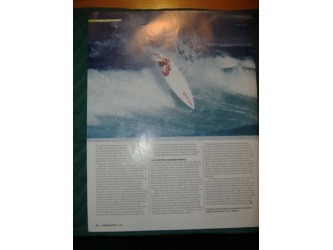 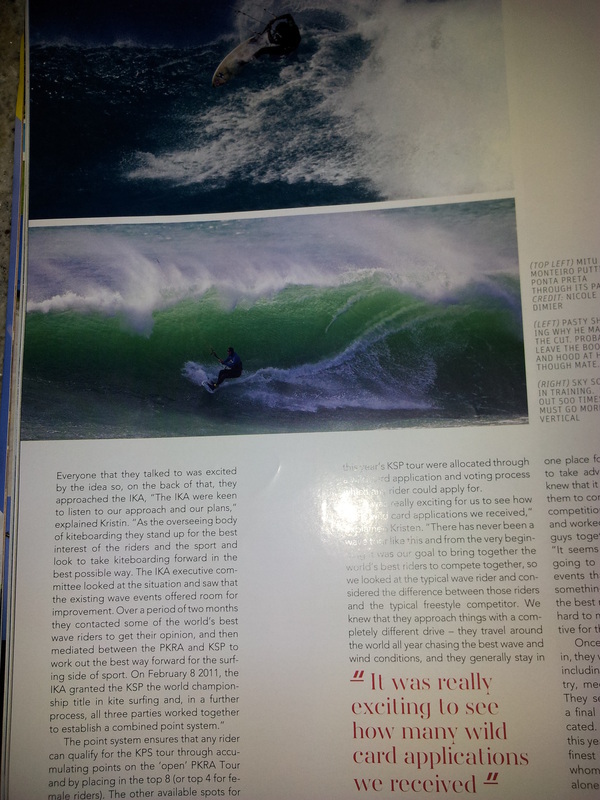 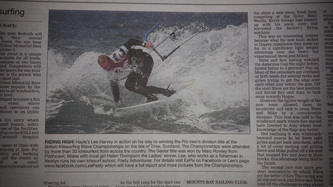 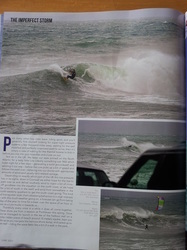 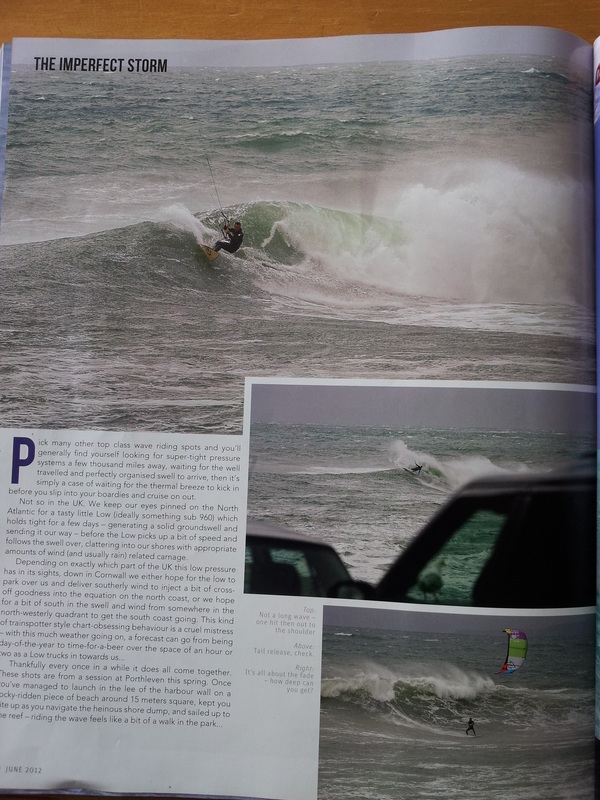 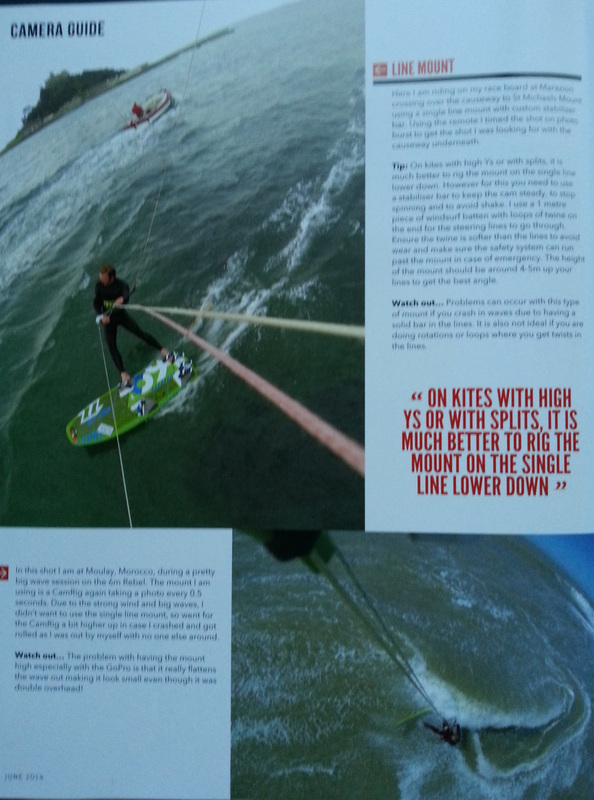 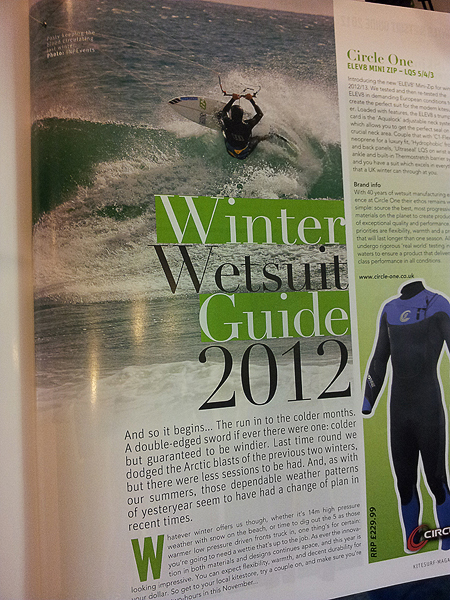 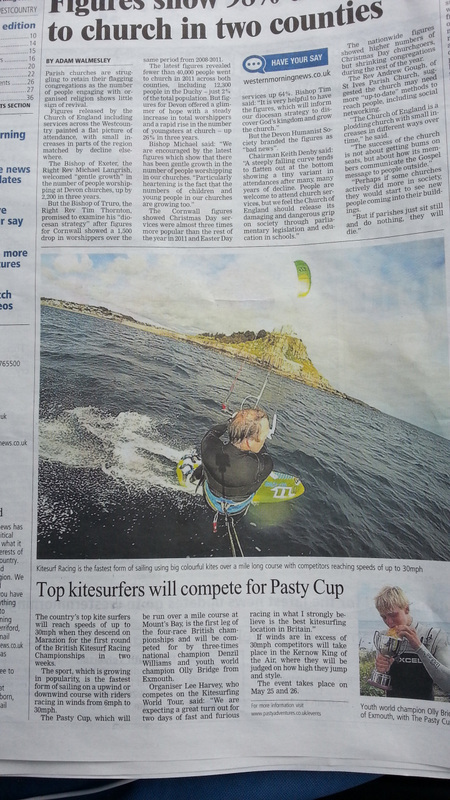 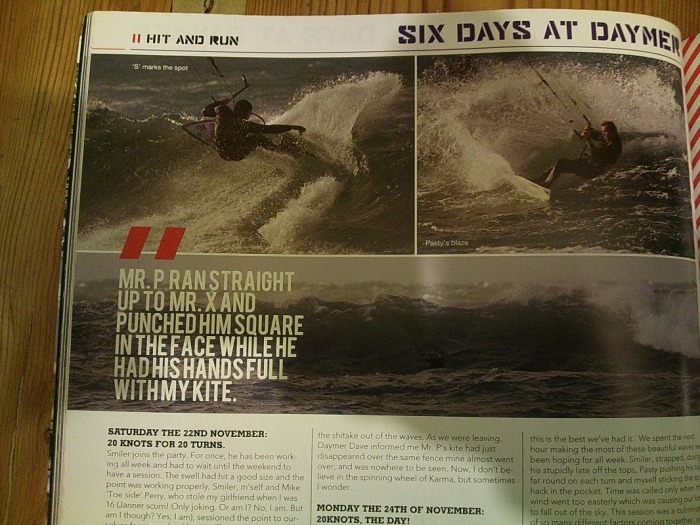 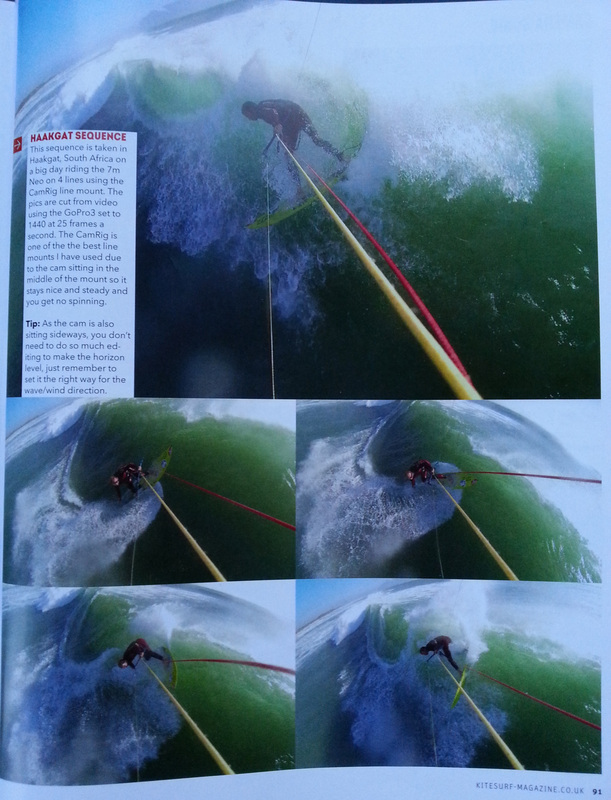 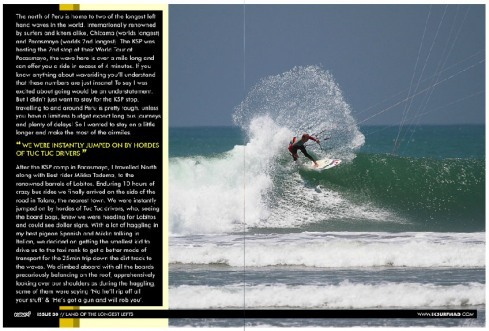 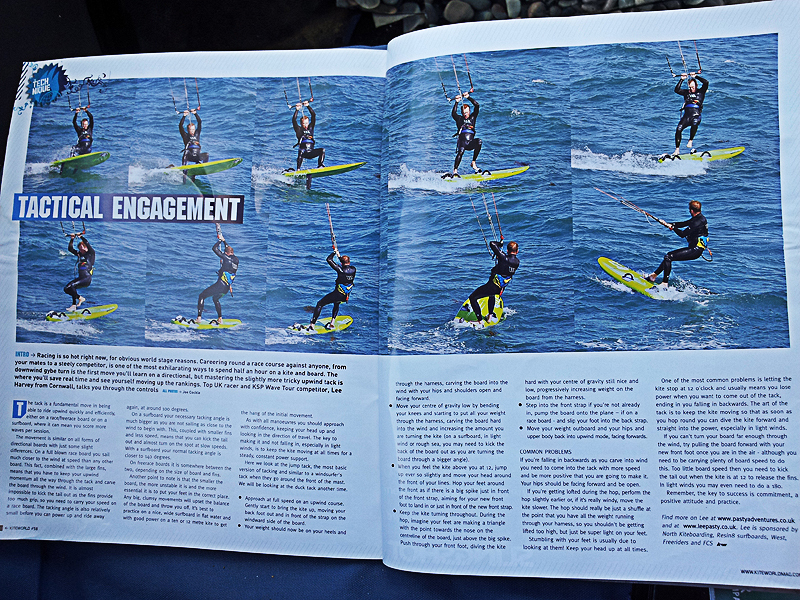 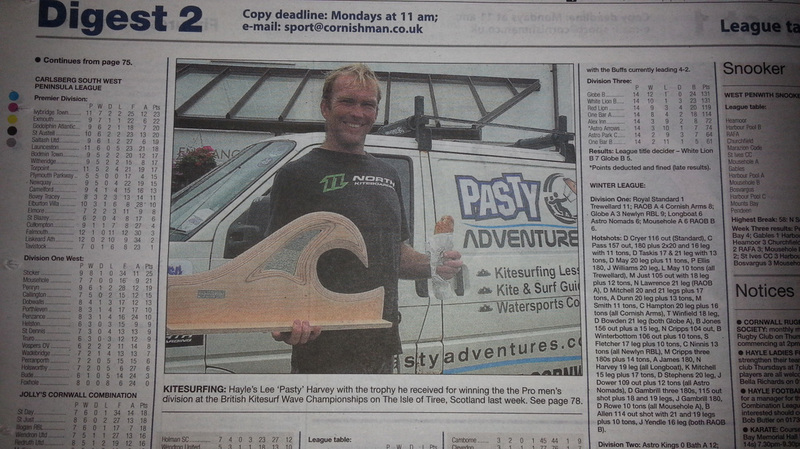 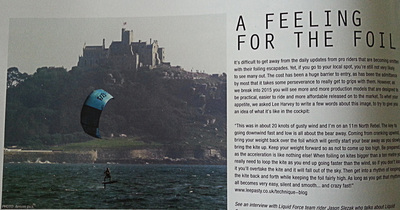 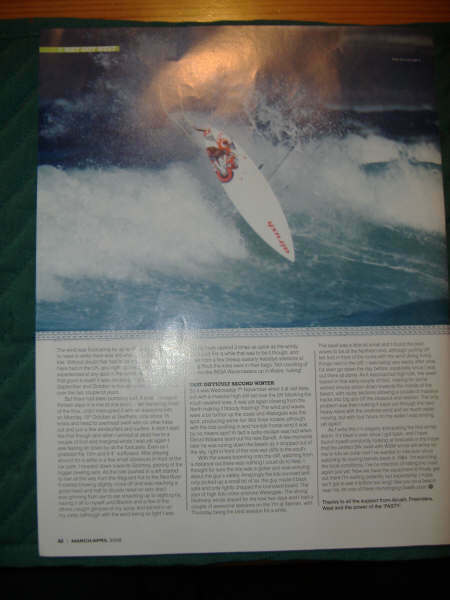 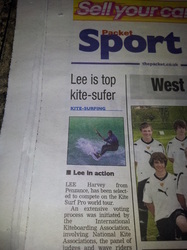 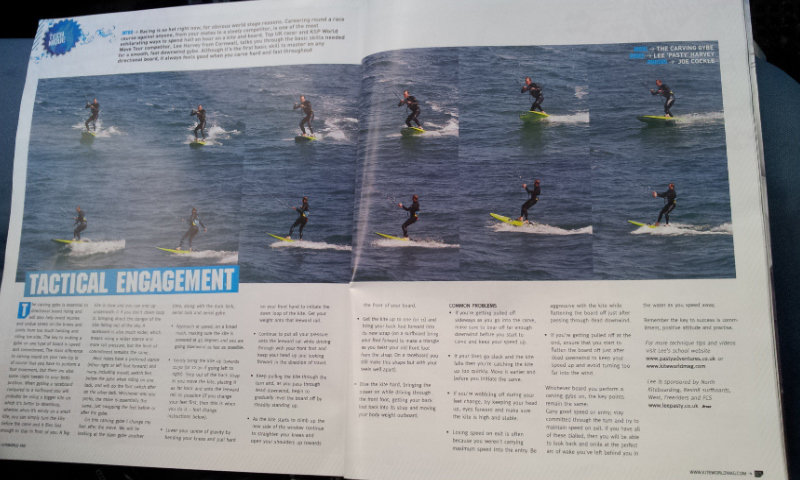 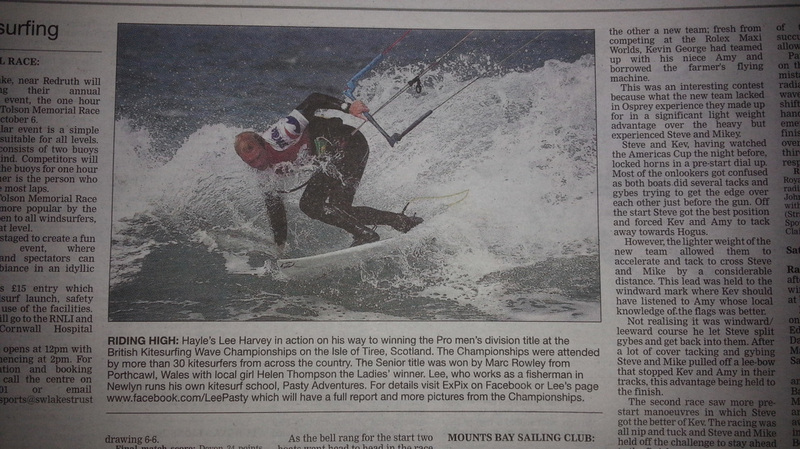 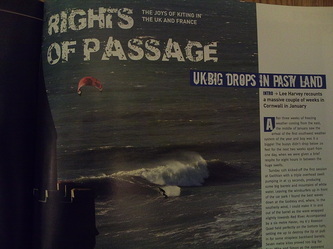 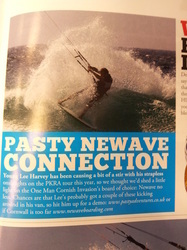 I have featured numerous times in this worldwide online kitesurf magazine. 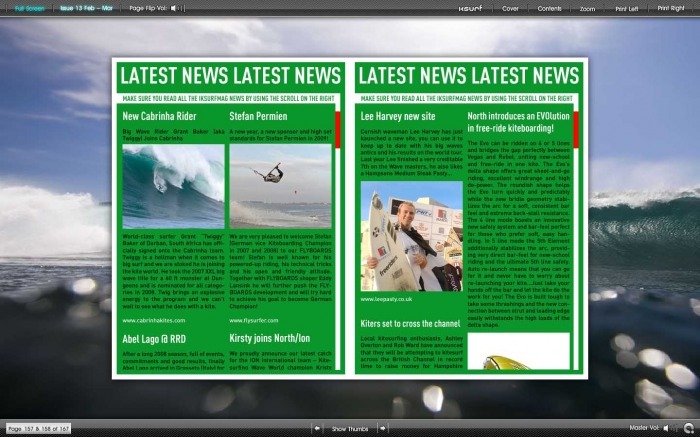 Click Here for a link to the latest issue.